In this workshop you will make a unique living terrarium in a glass container which doubles as a curio display for your tiny treasures! A variety of glass, plants, pebbles and tools will be provided. Students are encouraged to bring a handful of tiny special objects and stories about how you found them! 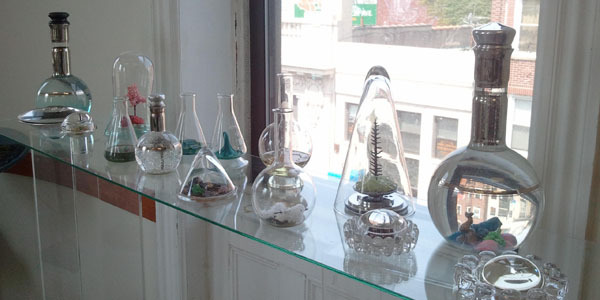 Terrariums do make great curio displays for items like beach glass, chandelier crystals or small figurines. What unusual small items have you included in your terraria?